Billerica, Mass. (AP) – A skunk that somehow got its head stuck in a discarded can of beer is being cared for by veterinarians in Massachusetts. Animal control officers in Billerica (BILL’-rick-ah) posted a picture of the unfortunate critter on Twitter. They said it “amazing” that its head could fit into such a small opening and noted that it gave new meaning to the term “skunked beer.” Police said the skunk was taken to Tufts Wildlife Clinic in North Grafton after being found Wednesday. The plan was to sedate the skunk before removing the aluminum can, and then monitor the animal for a few days before returning it to the wild. Mexico City (AP) – Police in Mexico say they caught a man who stole a front-end loader, drove it to a local bank, knocked down a wall, chained a safe to the machine and tried to drag it off. Prosecutors in the central state of Morelos say the loader had a front bucket as well as a jackhammer the thieves used to destroy the wall of the bank. They then chained the bank’s safe to the vehicle, apparently to drag it away. They didn’t get far, however. Alerted by reports of the equipment theft, police in the town of Oaxtepec used surveillance cameras to locate the men and detect their noisy, slow-motion robbery attempt early Friday. One suspect was detained, while the others fled. Elmira, N.Y. (AP) – It appears an upstate New York man was not hungry when police say he stole a Little Debbie delivery truck. Police say 38-year-old Joseph Tocco of Elmira swiped the truck Monday from a loading dock. Police stopped it a short time later. Police say Tocco told them he took the truck to visit relatives and friends. It did not appear any of the snacks were missing. Tocco is charged with possession of stolen property. He is being held in jail pending an arraignment. Greece, N.Y. (AP) – Rosa Ferrigno’s new suit takes recycling to an extreme – she knitted it from more than 300 plastic grocery bags. 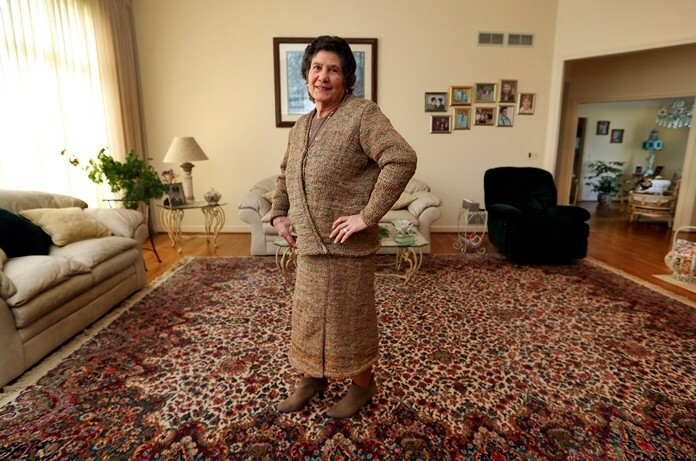 The 75-year-old woman from Greece in western New York whiled away the winter knitting a skirt and jacket from filmy brown bags scissored into thin strips that were tied together to make yarn. She lined it with cotton fabric. The finished garment is quite chic, with a tweedy look from green printing on the brown bags. Her daughter, Fran Bertalli, tells the Rochester Democrat and Chronicle that Ferrigno has been knitting and sewing since her childhood in Sicily. Last summer, Ferrigno saw someone’s purse made from repurposed plastic bags and started her own bag projects, making two purses before the suit. She says she does it just for fun.